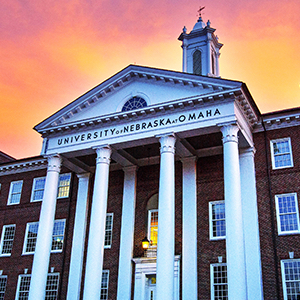 Welcome to the webpage of the Aquatic Toxicology Laboratory at the University of Nebraska at Omaha. The laboratory has three interrelated goals: 1) to conduct research regarding water quality and environmental health, 2) to train undergraduate and graduate (MS and Ph.D.) students, and 3) to develop novel bio-assessment tools, for research, education and outreach. Relative to the first goal, our primary research interest focuses on endocrine disrupting compounds within agriculturally dominated watersheds, such as Nebraska’s Elkhorn River. With respect to the second goal, we are often in the need of students to work in the laboratory, so if this sounds like something you would be interested in, contact us. As far as novel bio-assessment tools, we continue to experiment with different ways to explore fundamental questions relative to water quality and toxicology. The Aquatic Toxicology Labratory at UNO maintains a unique association with the The Nebraska Watershed Network (NWN). The Network is a student-driven organization that strives to promote water quality awareness through outreach, education, and research. They focus on developing and implementing community outreach programs related to water quality monitoring.